Good health is important for mind, spirit and body. For us to function well and concentrate well, we need our health to be well. To achieve and maintain good health is an ongoing process in every age and happens through our daily routines such as eating, exercising, getting enough sleep etc. But to achieve good personal health, one’s life structure plays a great role s strong social relationships, positive attitude, longevity, productivity and good mood is important. The second important thing is personal hygiene to keep the body clean and prevent infection and other illness. Besides these steps, the most effective and important thing is the food we eat. Healthy food reflects on our skin like a mirror and it can easily be seen on the face if a person is eating unhealthy food or have some sort of disease. So here are some tips of food that can help reduce pain and make us healthy. 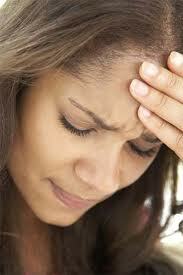 Eat plenty of fish as fish oil helps to prevent headaches. The same does ginger which reduces inflammation and pain. Eat lots of yoghurt before pollen season. Also eat honey from your local region daily. 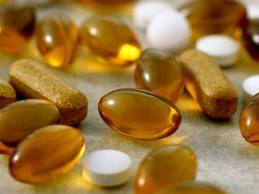 Salmon, tuna, mackerel and sardines prevents arthritis. (Omega oils in fish are good for our immune system). Bananas will settle an upset stomach and ginger will cure morning sickness and nausea. High-acid cranberry juice controls harmful bacterias. Cornflakes reduce the effects of PMS and also help to reduce depression, anxiety and fatigue. Oysters help to improve your mental functioning by supplying much needed zinc. You can clear up your stuffy head with garlic and remember garlic lowers cholesterol too. A substance similar to that found in the cough syrups is found in hot red pepper. Use red (cayenne) pepper with caution as it can irritate your tummy. Wheat, bran and cabbage helps to maintain estrogen at healthy levels. A good antidote is beta carotene, a form of vitamin A can be found in dark green and orange vegetables. Cabbage contains chemicals that heal both gastric and duodenal ulcers. Grate an apple with its skin, let it turn brown and then eat it to cure this condition. Bananas are also good for this ailment. The mono unsaturated fat in avocados lowers cholesterol. Olive oil has been proven to lower blood pressure as well as celery that contains a chemical that lowers pressure too. The chromium in broccoli and peanuts helps regulate the insulin and blood sugar. Tiny but mighty. This is a good source of potassium, magnesium, Vitamin E &fiber. Its vitamin C content is twice that of an orange. An apple a day keeps the doctor away? Although an apple has a low Vitamin C content, it has antioxidants &flavonoids which enhances the activity of Vitamin C thereby helping to lower the risks of colon cancer, heart attack & stroke. Strawberries have the highest total antioxidant vessels clogging free radicals protects the body from cancer causing, blood & major fruits. 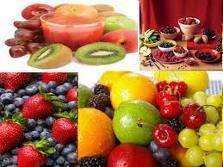 Anti-oxidants and they actually keep us actually; any berry is good for you. Oranges a day may help keep the cold away. Eating 2-4 can dissolve kidney stones as well as lessen the risk of cholesterol and prevent colon cancer. A key source of dose of glutathione which helps boost our immune system packed with a giant coolest thirst quencher. It is composed of 92% water and contains other nutrients such as Lycopene – the cancer fighting oxidant, potassium and Vitamin C.
(watermelon also has natural substances sources that keep our skin healthy, protecting our skin from those natural SPF sources). A preventative measure for men as it prevents prostrate problems.